Here is a different kind of toy I found at a new discount store, a musical instrument, the invisible recorder. 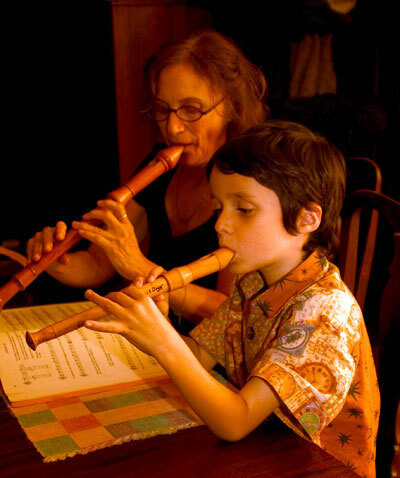 For those of you who don’t know what a recorder is, a recorder is a clarinet-like instrument usually made of wood and typically played by children as a starter instrument. It’s not a tape recorder that records sounds. It’s not actually called an invisible recorder. I call it the invisible recorder because it’s made of a clear plastic instead of a solid color plastic. This makes it hard to see, but since it’s a musical instrument, it’s meant to be heard. Pictured on the left is the invisible recorder on the normal white paper I use as a backdrop for the toy pictures. Pictured on the right is the invisible recorder on a black table where it’s much easier to see. All in all, the recorder works, despite the material it’s made from. Naturally I didn’t put my mouth directly on the mouthpiece, but I did get close enough to get some air flowing through it and hear the tone. I don’t think there would be any issue with putting it in your mouth since there doesn’t seem to be any paint on it. One of the more interesting things about this recorder, aside from the fact that you can barely see it in certain conditions, is that it has a switch on it for some reason. Near the mouthpiece of the recorder is a switch. Attached to the switch are several wires with some grounded down below and the rest going into a solid white compartment within the mouthpiece. What does it do when you flip the switch? Unfortunately I don’t know, it didn’t work for me and when I went back to the store, the rest were gone. 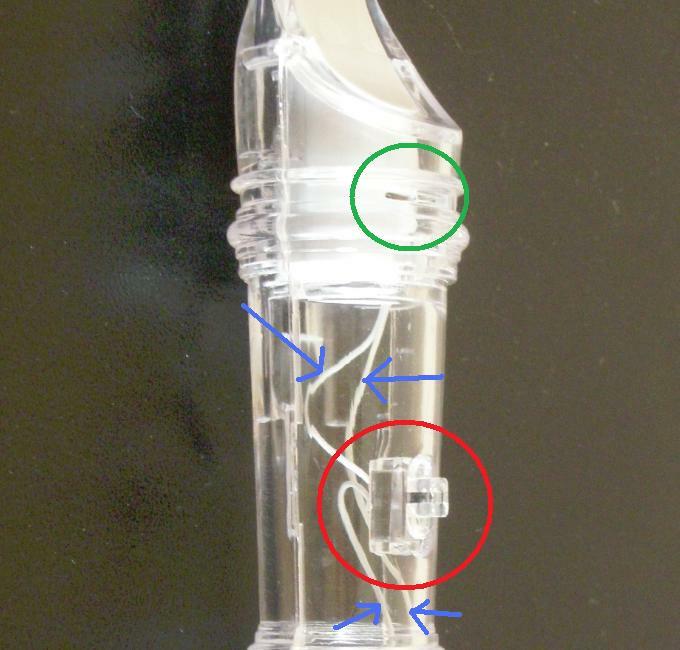 There’s a switch, wires coming from the switch going into the mouthpiece and a pull tab. The pull tab keeps batteries within the toy separated so they don’t run out before it’s bought. The absence of LED lights rules out a lighting effect(although a lighting effect would be cool inside the clear plastic) so it must be sound effect. Maybe they recorded someone playing the recorder so you can turn it on and pretend you are playing something good, like those electronic keyboards that play a song when you press one button. If you’ve seen one of these and know what it does, how about leaving a comment to let people know?